Molly Goddard’s style was always meant to break boundaries. No trend nor season is set to influence the British designer’s explosive creativity. Goddard almost stumbled upon her business, which started off as a fun way to express herself and an offseason catwalk where the budget was under £500 and the models were friends who wore her dresses over their own clothes. Her life has always been subconsciously influenced by fashion – she used to make outfits out of tin foil for her sister, Alice – but it took her years of fashion studies to realise, but also truly believe, that it could become her career. 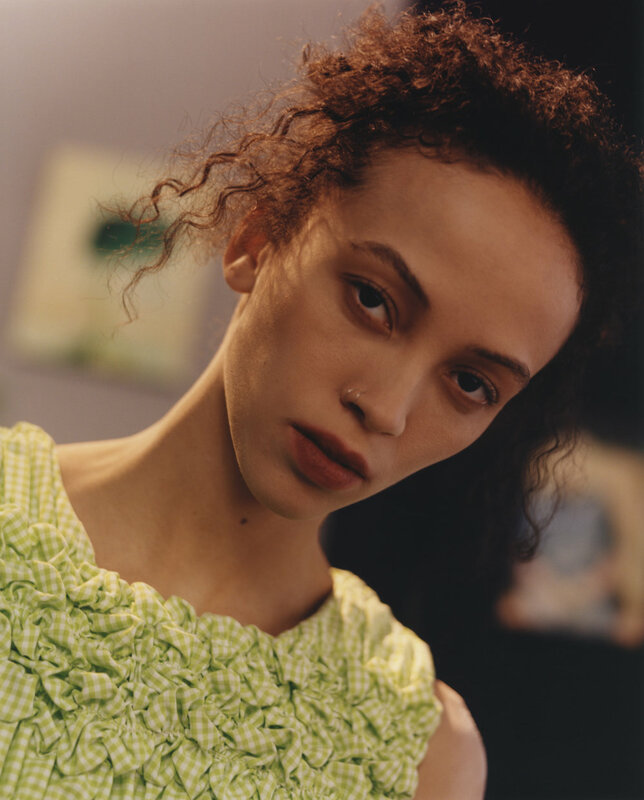 Inspired by the tangible and intense moods created by Miuccia Prada in her own collections, Goddard’s pieces are colourful eye candies, whose fil rouge is her unequivocal princess-meets-doll aesthetic, with a touch of scruffy grunge, just as we like it. The ultimate challenge for Goddard? Breaking the boundary between menswear and womenswear, by making pieces which shall be worn by men too and which – just as everything she makes – never get boring. Molly, how would you describe your relationship with fashion? I work with fashion and I’m surrounded by it every day, so I would say its a pretty long term and intense relationship. Almost like a marriage. Your style is very recognisable, and often seems detached from the overall trends happening within the industry. How important is for you to be original? I never think about current trends otherwise I would become very confused and forget what I like and then why I am doing it. I think sticking to what inspires you and excites you without any external influence is what makes things original. What would you like the first thoughts of someone seeing your clothes for the very first time to be? Excited and confused. I want to make things that people have no idea how they were actu- ally made. Three words to describe your upcoming collection. In this issue of LURVE, we explore the meaning of borders – both physical and psychological. Can you tell us about one border of any kind that in your opin- ion shall never be crossed? Creating a border between work and home is important to me, I like to leave work and try to think about everything and anything else. I never work too late or on Sundays otherwise I go mad. What do you feel might limit you as a designer and how do you fight that? My budget to employ more and more skilled and hard working people. Dejan Stojanovic once said: ‘There are no clear bor- ders, only merging invisible to the sight’. How do you feel about the new emerging idea of global fashion, where borders are no longer existing and influences merge altogether? Does this risk to compromise in- dividuality? I feel quite the opposite. I feel like borders are emerging all over the place. Brexit, for example, is going to be an enormous problem for our business as we work in Europe, with Europeans and people from all over the world. It feels pretty disastrous to me, thinking that many of the people we work with today in the UK may no longer be permitted stay here in a few years. The USA is another – and far worse – example of increasing boarders and restric- tions to the creative industries. In today’s fashion, borders are being broken down in so many ways – the unisex trend, for example, where the border between menswear and womenswear be- comes blurry – how do you feel about that? I think that is an incredibly positive thing. Fashion has always been a place to express individuality and celebrate diversity. Does your style and its potential evolution in the fu- ture relate to that at all? I definitely think about women when design- ing my clothes, because I am a woman and I imagine myself wearing the clothes, but I also love it when guys wear them. I like making unisex pieces as I feel like men’s clothes are quite boring right now. They are more about labels rather than exciting style.